1. 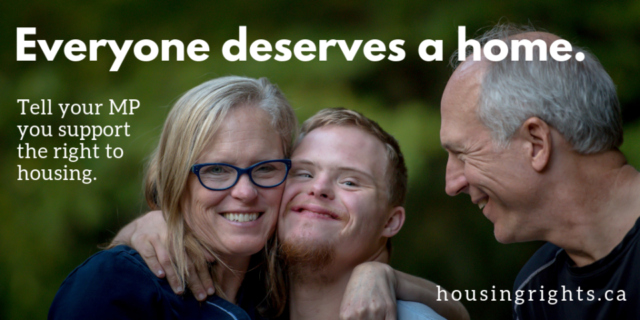 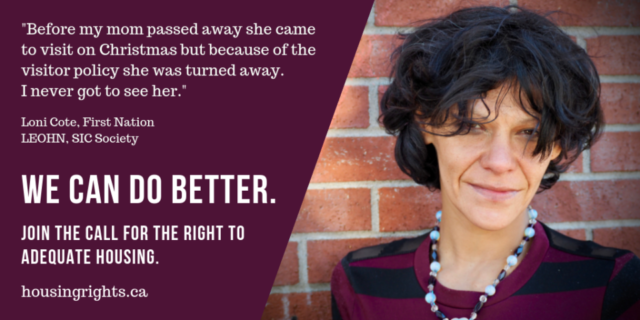 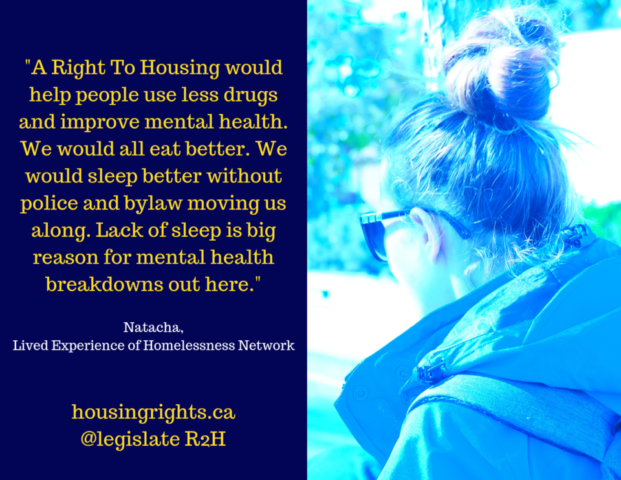 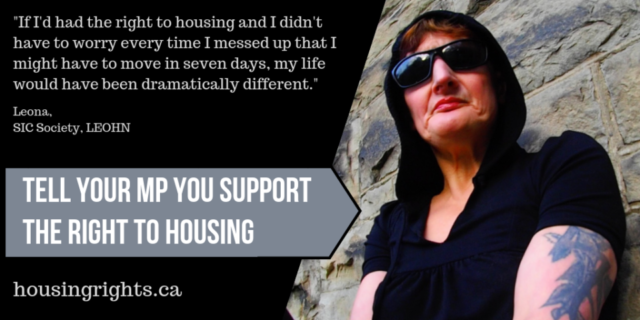 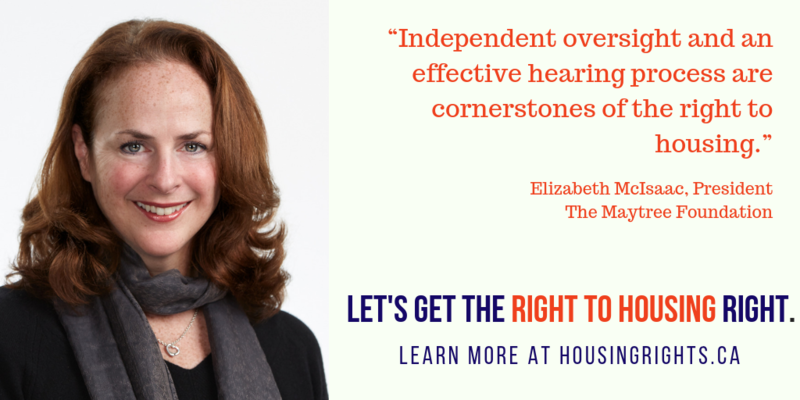 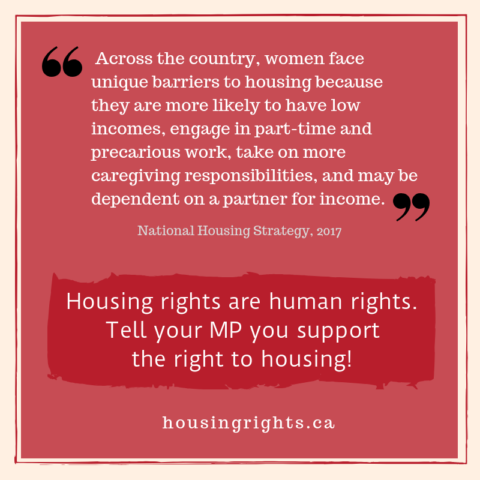 Tell your MP you support the right to housing. A strong display of public support is critical in seeing this through. 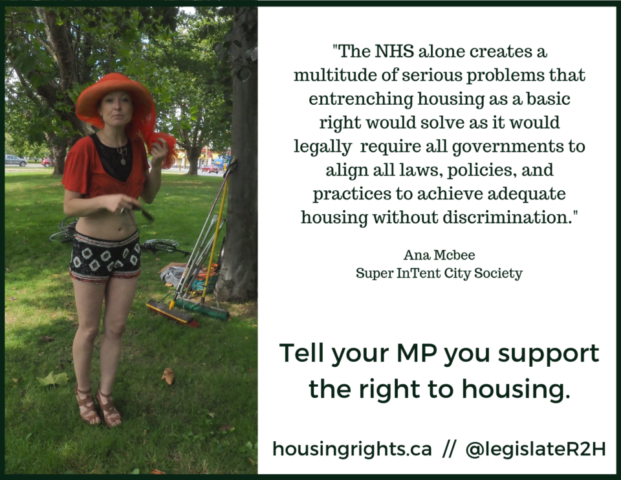 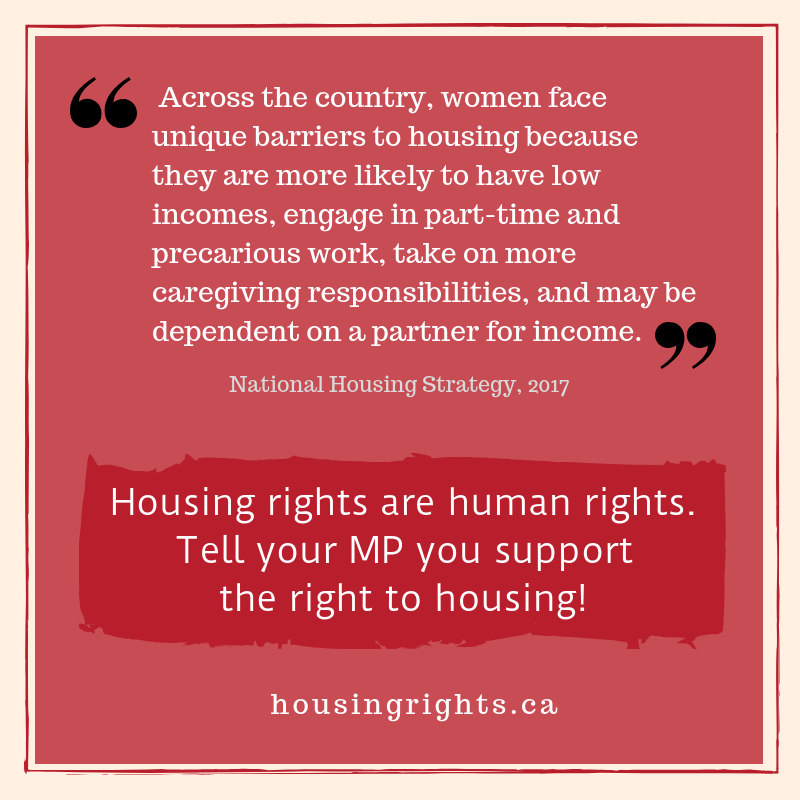 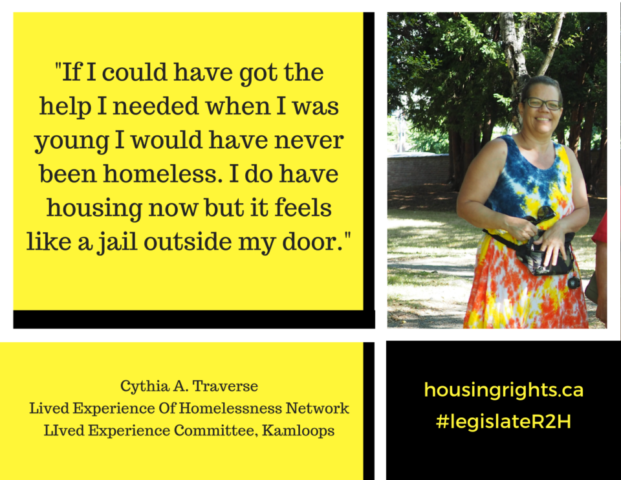 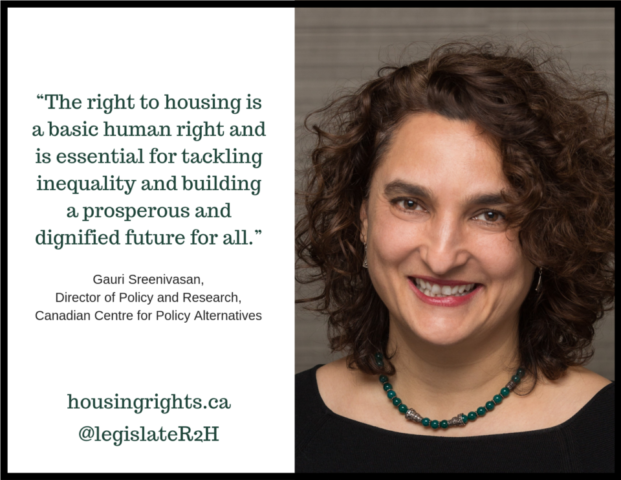 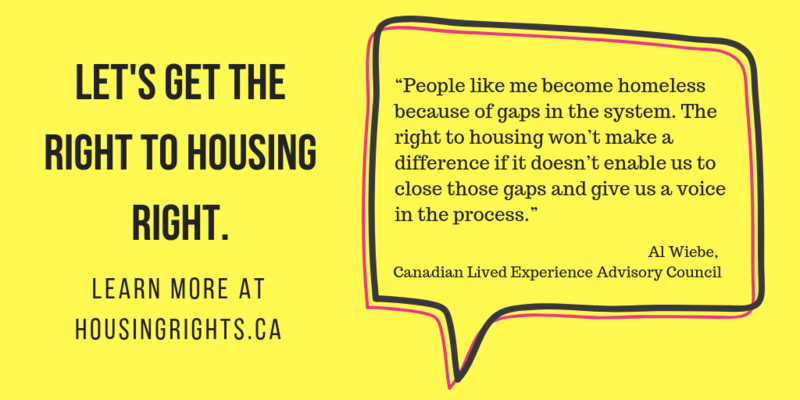 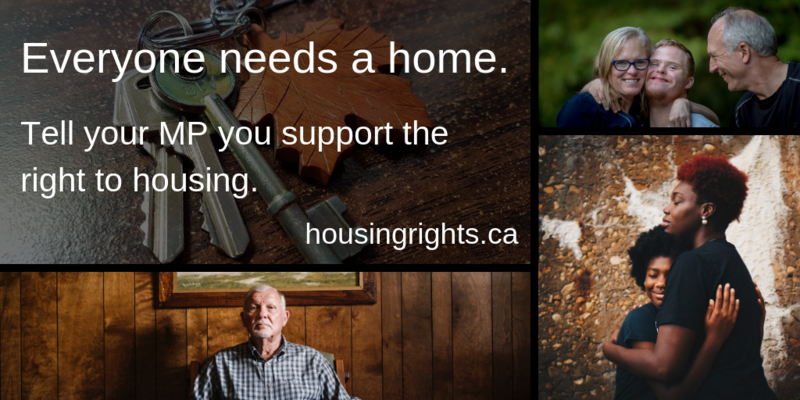 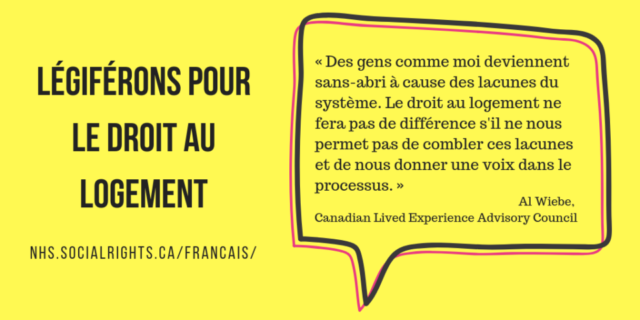 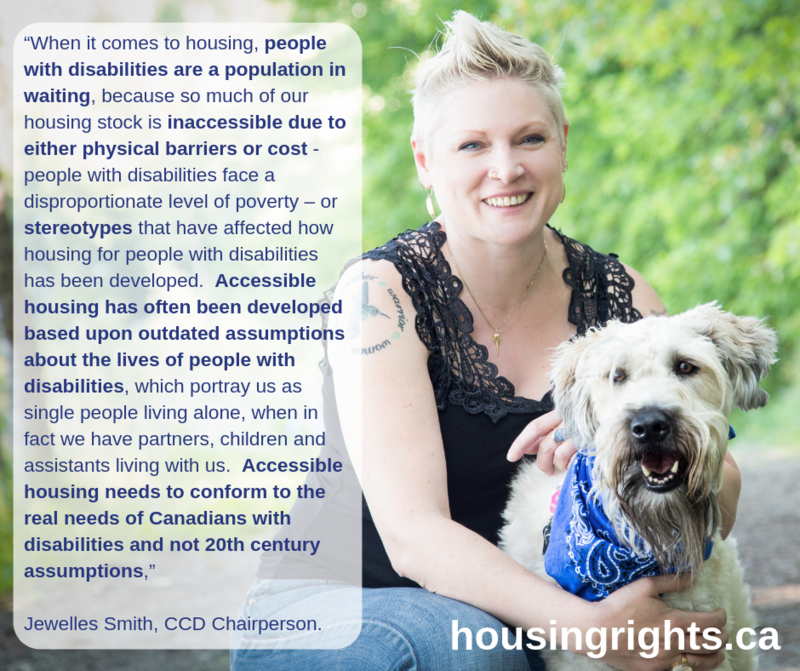 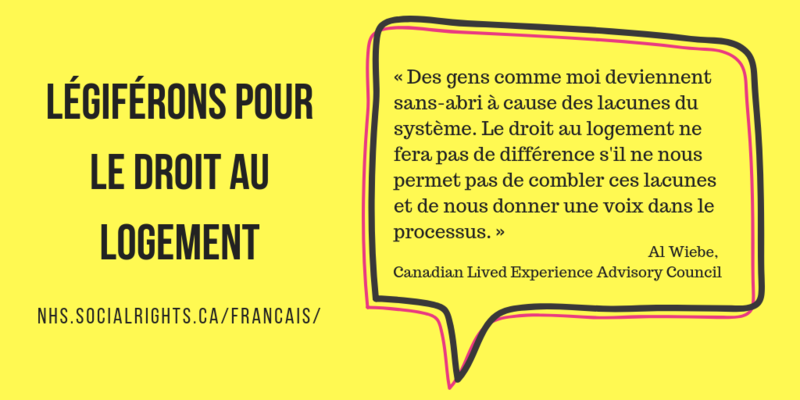 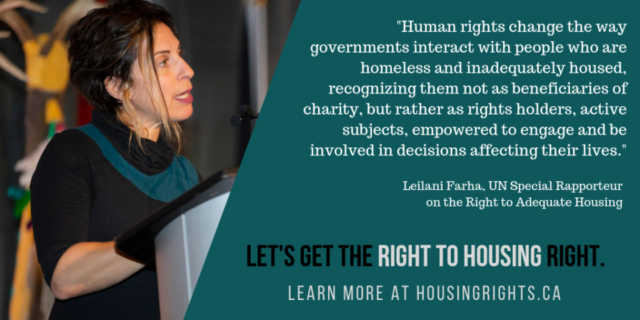 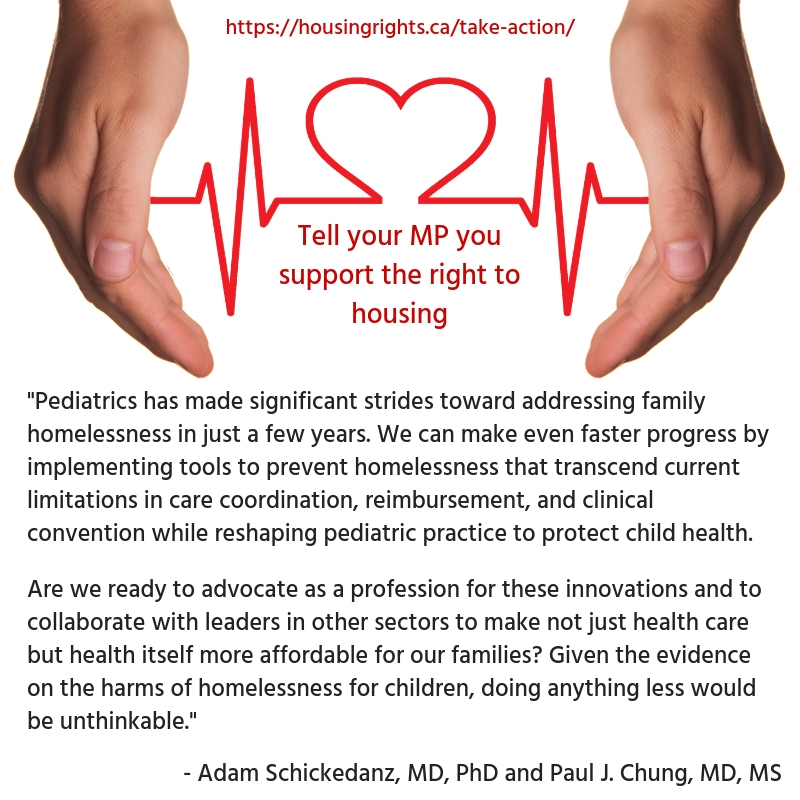 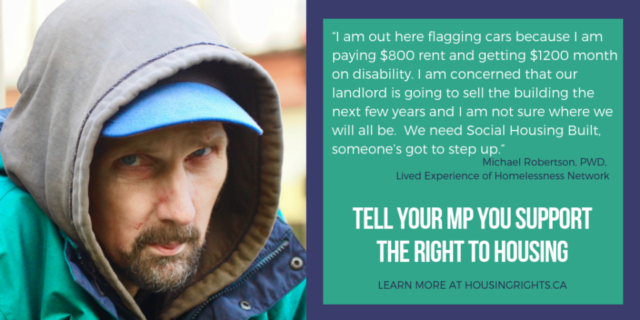 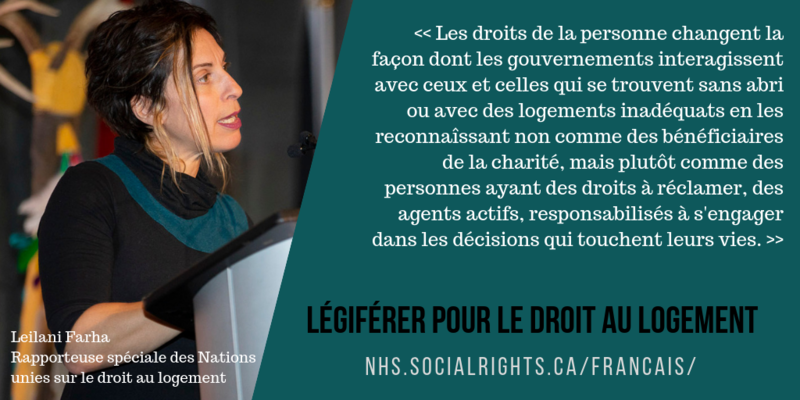 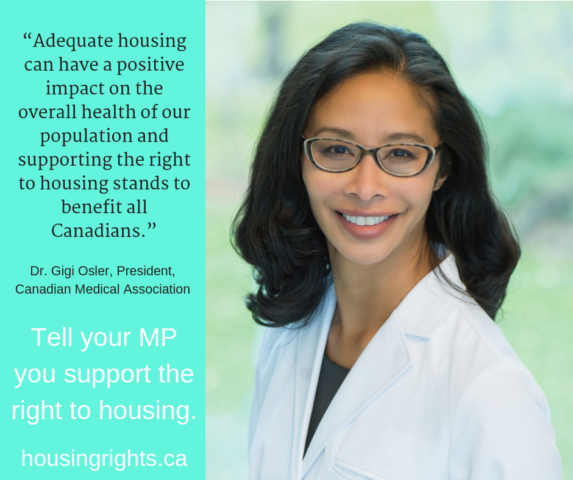 Use our pre-written letter to let your MP what needs to be included for meaningful legislation of the right to housing. 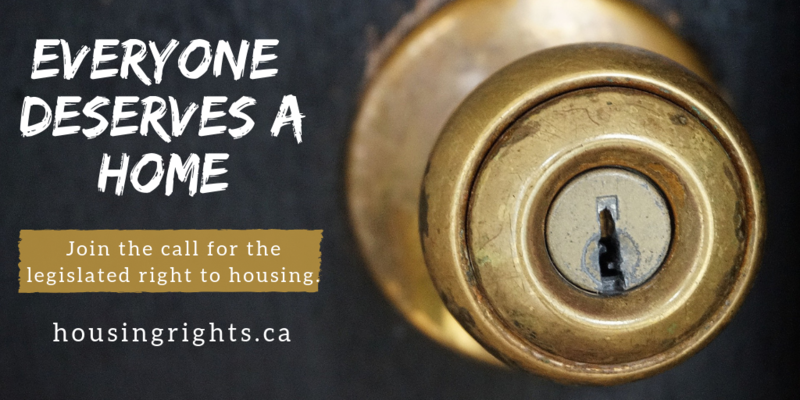 You can sign on as an individual or on behalf of an organization, and invite others to do the same. 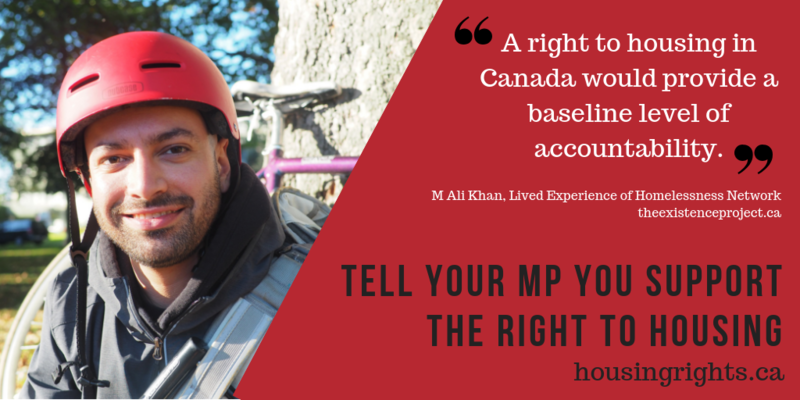 Consider emailing your MP the link so they can see the list of signatories. 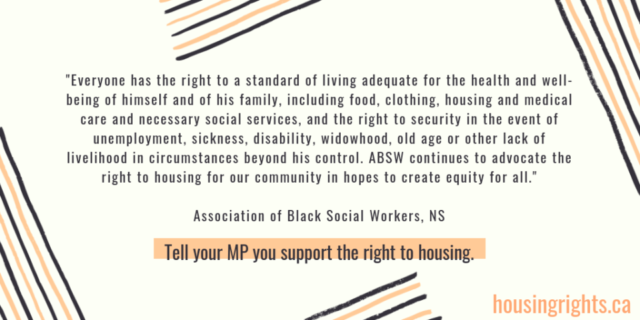 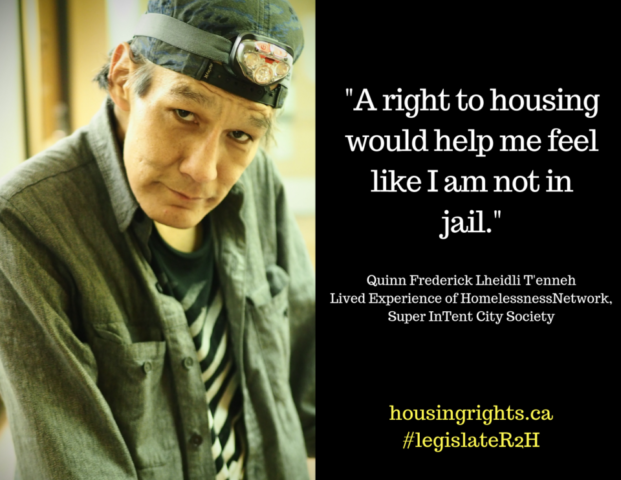 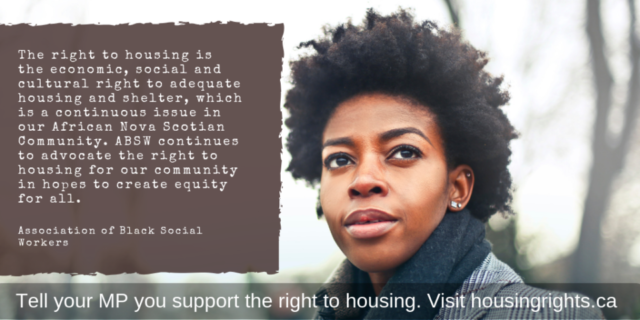 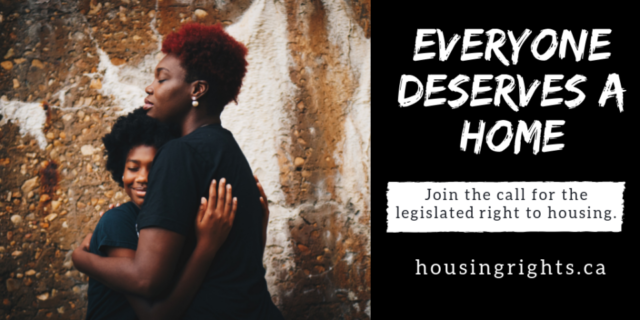 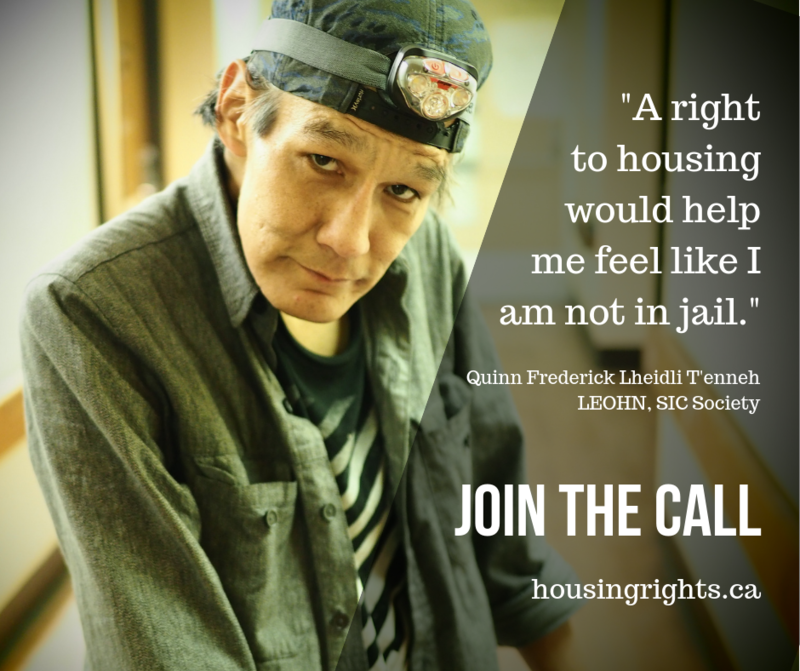 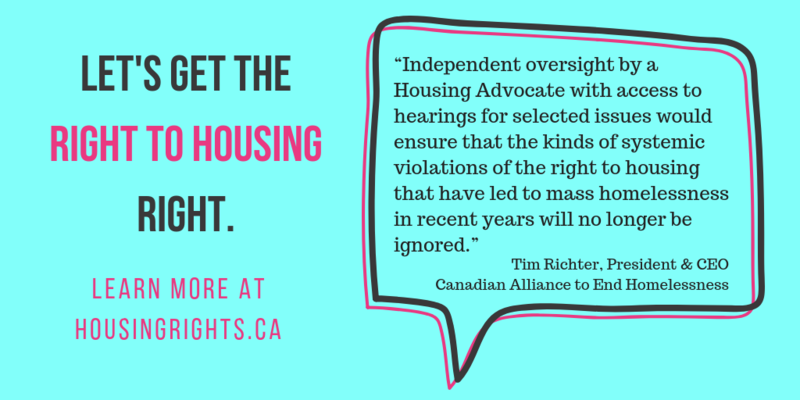 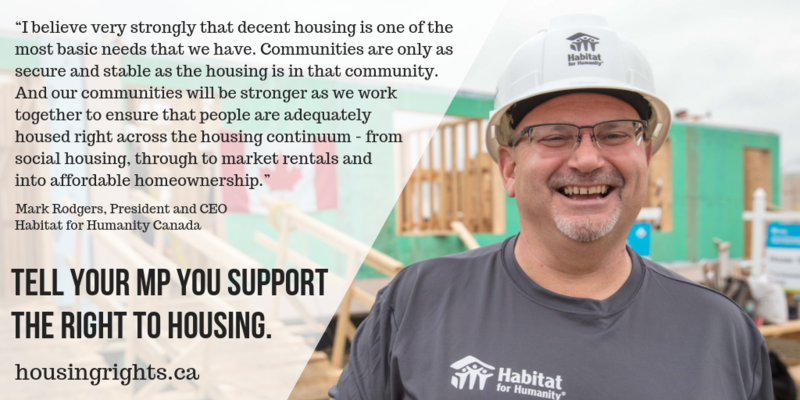 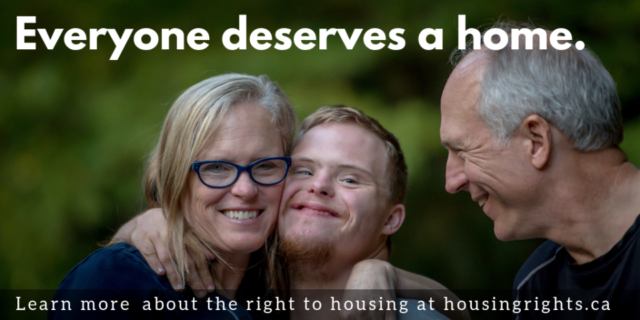 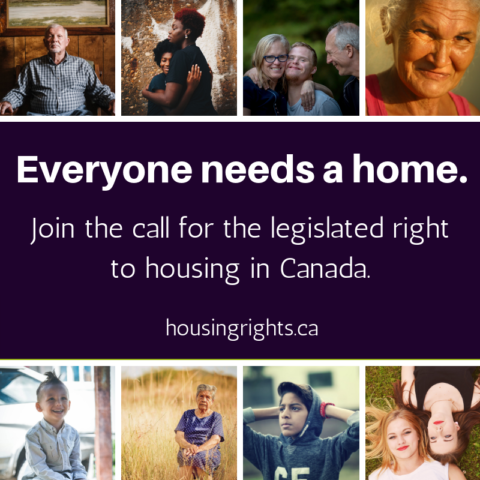 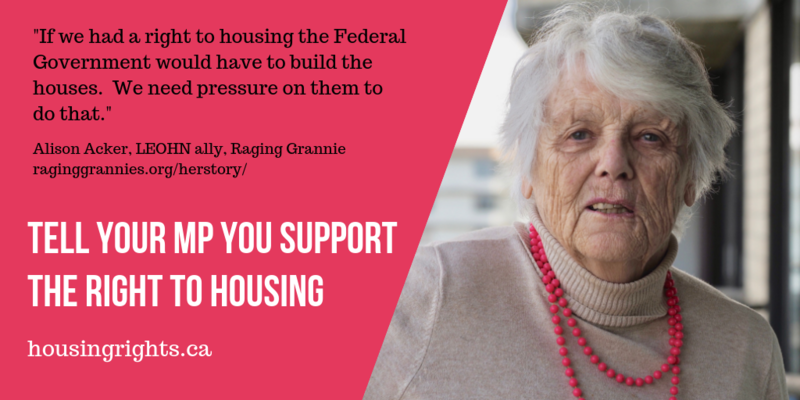 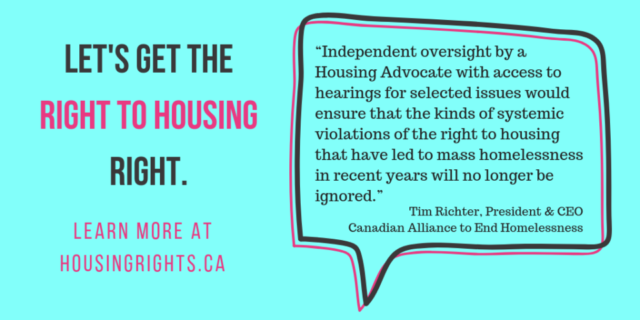 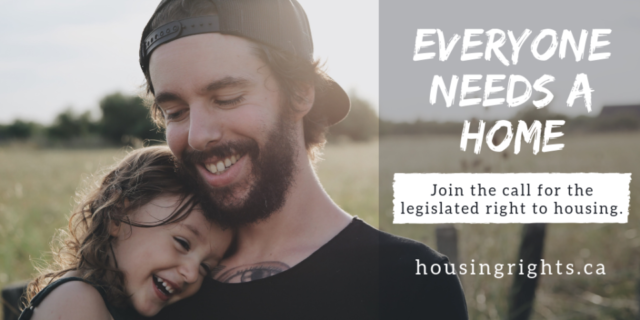 Download and share the fact sheets and images below via email, newsletters, or social media to invite others to join the call for the legislated right to housing! Like, follow, and share our posts on Twitter or Facebook or create your own and tag us @legislateR2H and #legislateR2H. 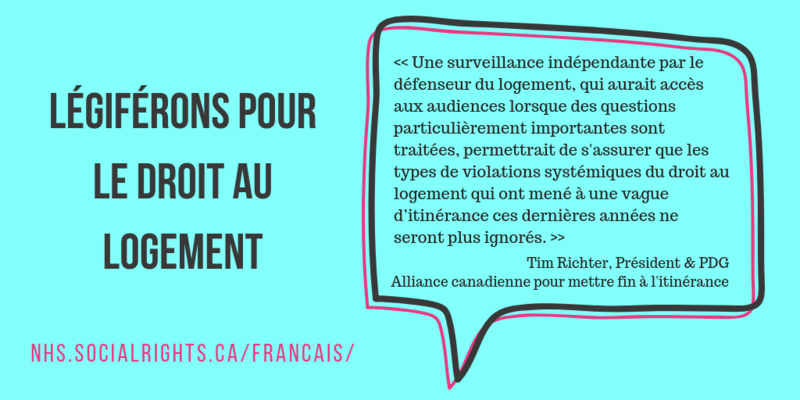 Click here to download images below in English. Click here for French images (more coming soon).